Product prices and availability are accurate as of 2019-03-31 21:55:52 EDT and are subject to change. Any price and availability information displayed on http://www.amazon.com/ at the time of purchase will apply to the purchase of this product. Impress your guest with this line of Premium Disposable Elegant Dishes. 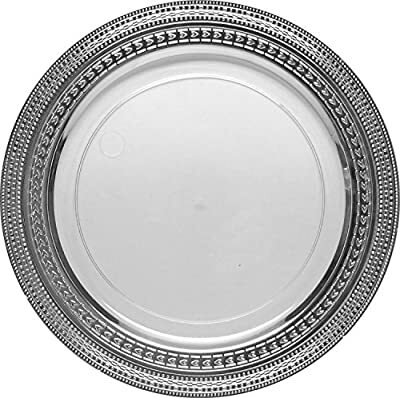 Available in 10.25" Dinner Plates, 9" Dinner plates, 7" Salad Plates, Soup Bowls, Cocktail & Lunch napkins, 10 Oz Tumblers and Wine Cups and Serving Trays.